3rd Place - Balmoral Triathlon Club ! So we did one better than last year.. yahooooo...... 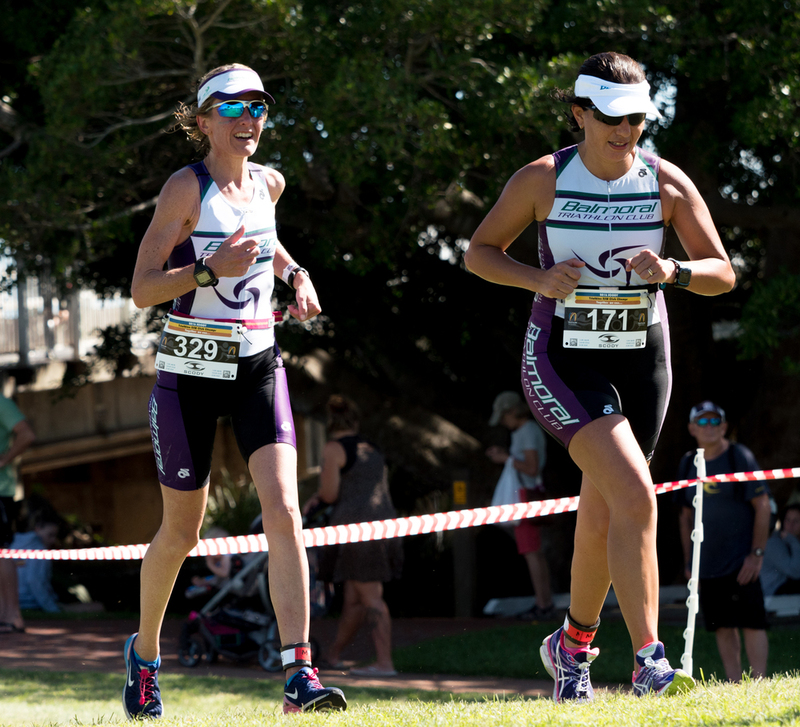 Unfortunately, the nasty gastro bug that has been doing the rounds in Sydney took a few of our crew out prior to and during the race.. .. but we still did amazing finishing on the podium in 3rd place in Division 1 in 2016. Josh reminded me we are probably one of the most consistent clubs, we always have around the same number of competitors and always get very high number of average points per competitor. Unfortunately, we just couldn't compete with Hills and Warringah’s 100+ athletes this year. 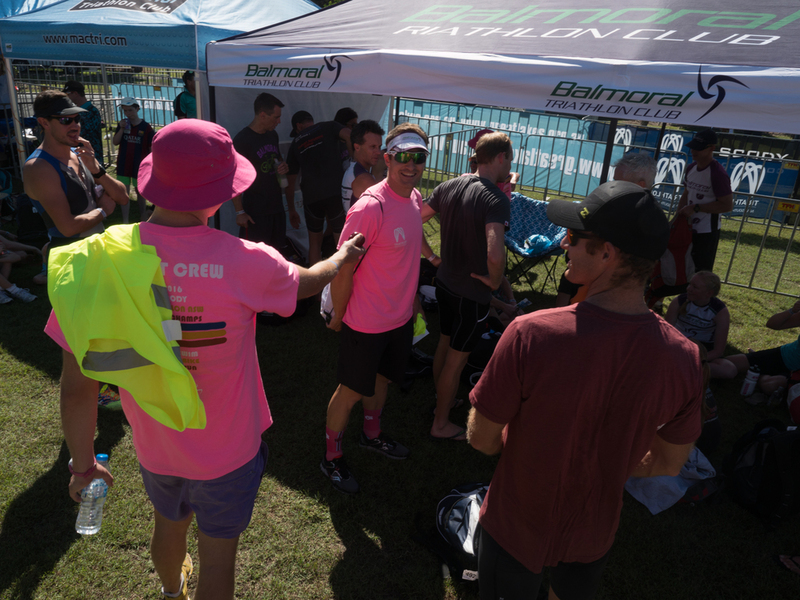 A big thank you to our Club Champs sponsors: Human Solutions Group & First National Cremorne for helping us subsidise our Club Champs weekend for our members by financing the TShirts, Matt form LeSpit for the Bottles, SIS for the gels. Well the weather was certainly “better” than last years’ wind and rain, but the heat made it a real challenge, it was well over 30 degrees out there, so well done to all our competitors, even though it was a shorter distance race, the unusual race start time and the extreme heat made it a challenge to get nutrition and hydration right for our competitors and lots of people were suffering out there. The swim was great, very calm and hardly any waves so perfect for an open water swim, the bike course was its usual technical course, lots of corners, and the run was just HOT! BTC had some great results from our men, Coach Waino was 2nd AG and 4th overall, despite having been very ill the week leading up to the race, that’s an impressive result, but it was clear waino was really struggling, but showed his true club spirit and got through the race.Fast Dave Grant is looking really strong, finishing 4th in the very competitive 35-39 AG and 15th overall and 2nd BTC’r home, great work dave, all that consistent training the last few season certain seems to be paying off. Glenn McPhee’s prediction for the Dad’s army friendly competition was slightly off, congrats to Mike Ollenshaw was first soldier home in an impressive 1:56:07 and 4th in his AG, followed by David Fell a few mins behind, Paul Kelly and then Glenn McPhee. Well done to the Dads Army Troops! Kya Wong represented BTC in the juniors Aquathon on Saturday Morning, great work Kya ! Big thanks especially to Ben and Ray for their amazing TO jobs getting the club valuable points, to be a TO at Club Champs Ben and Ray have to volunteer to be TO’s at 3 other races in the season, its an amazing commitment so thanks guys. Next year we need a big recruitment drive if we want to go one (or two better), so tell everyone that didn't make it what a great weekend they missed and get that FOMO going for 2017. From El Presidente Lew, and myself (Zoe, Zoo, Sue whatever the hell Matty Harris called me) a huge big thankyou to Josh, Jodie & Hannah for organising and for each and everyone one of you that made the trip, competed, raced, volunteers, supported. We have the best club ever !!! Go Balmoral ! Human Solutions Group, First National Cremorne LeSpit Cyclery, SquareOne Physio, Johno the Home Loan Guy and Justin Betar (Betar Lawyers).